Last week, at Milan Men’s Fashion Week, Ermenegildo Zegna debuted a new trainer called ‘My Cesare’ – the luxury house’s first ever fully personalised shoe. Hitting the runway alongside Alessandro Sartori’s A/W19 collection for the brand, the trainer is completely customisable – the logo, overlapping mesh and leather upper, leather detailing, and sole can all be rendered in a range of Pantone colours. 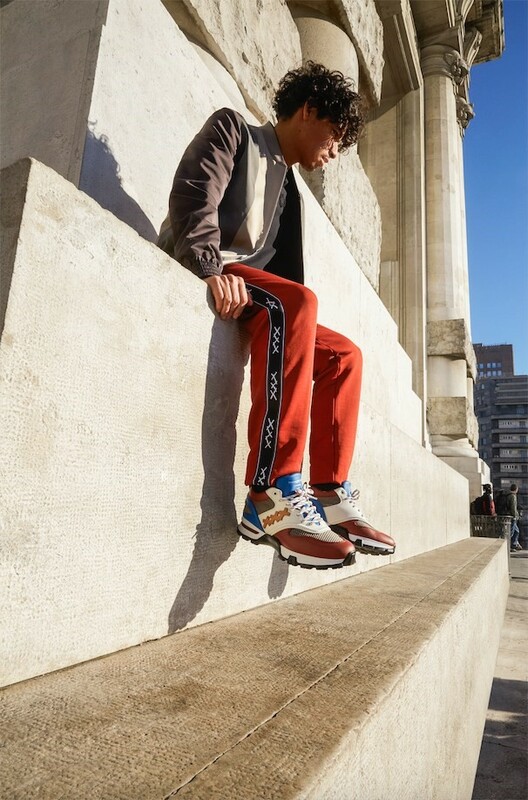 To showcase the shoe, the house cast a trio of creative talents – American musician Topaz Jonas, Latin-American singer A.Chal (pictured) and British model Sonny Hall – who reflect the campaign’s message of “celebrating subcultures”.